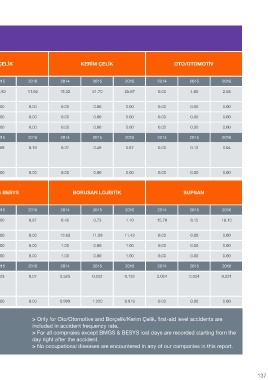 Borusan Endüstriyel Sistemler   included in accident frequency rate. > For all compnaies except Borusan Lojistik, fatalities are included in accident   day right after the accident. frequency rate. > No occupational diseases are encountered in any of our companies in this report.